In a poll conducted by the Pew Research Centre, half of the Americans think that some of the US Muslims are anti-American, and two thirds of the Americans felt that people, and not religious teachings are to be blamed when violence is committed in the name of the faith. Ever since the Paris attack on November 13, 2015, and mass shooting in San Bernardino, California on December 2, 2015, that left 14 people dead, there is growing antagonism against the Muslim community in the United Sates leading to increase in hate crimes like arson and vandalism at mosques, targeting hijab wearing women causing insecurity among the Muslim communities. Sadly, even the Sikhs have not been spared for they have often been mistaken to be representing radical Islamic elements. Many of the gurdwaras have been desecrated and many Sikhs had to bear the brunt of racist attacks. The politicians, especially the candidates from the Grand Old Party, instead of rising to the occasion by assuaging the feelings of the minorities and raising their voice against the perpetrators of hate crimes, have deliberately whipped up sentiments against a particular community with their vitriolic statements against the Muslims. If such an attitude had been displayed by the leaders of any non-democratic country, it would not have come as a surprise, but coming from politicians of one of the world’s biggest democracy, which has always believed in religious freedom and interfaith harmony, their comments have come as a rude shock. 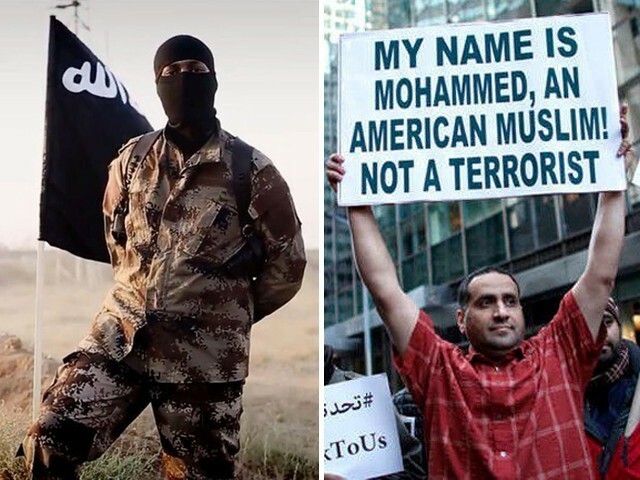 In a poll conducted by the Pew Research Centre, half of the Americans think that some of the US Muslims are anti-American, and two thirds of the Americans felt that people, and not religious teachings are to be blamed when violence is committed in the name of the faith. The poll also showed that the Americans considered Islam a troubling religion. It is in this vitiating atmosphere that president Obama’s visit to the Islamic Society of Baltimore assumes significance. The president, in spite of a slew of statements against the community by the Republican candidates, especially the party’s front runner Donald Trump, paid a visit to the mosque. The president’s speech will go a long way to assuage the feelings of Muslims not only in the United States, but throughout the world, who had recently been subjected to hate crimes. Obama also implored that the Muslim community should raise its voice against extremism. There are several factors that have led to growing Islamophobia, especially in the West. First, the terrorist organisations are led by leaders who have misinterpreted Islam with their own violent brand of by Islam; Al Qaeda, ISIS, Boko Haram, by fanning hatred towards other religious groups, are some of the organisations that have brought disrepute to a religion that stands for peace. One of the main causes of the negative image of Islam is the spread of Wahhabism and Salafism, which espouses a radical brand of Islam. As David Goldman in his book Islam and the Bible: Why Two Faiths Collide, while distinguishing between Islam that stands for peace and the Islam that stands for radicalism compares peaceful Islam with ‘Mecca Islam’ and the Wahhabism and Salafism to the ‘Madina Islam’. The need of the hour is for all Islamic scholars to make people aware that the religion is all encompassing, and that it promotes peace and brotherhood. Unfortunately, many of the liberal scholars have done a great disservice to the religion by not openly criticising organisations like ISIS, Al Qaeda for misinterpreting Islam. Secondly, religious institutions need to be monitored so that a radical brand of Islam is not taught to students. One of the reasons for ISIS, and other outfit’s, ability to successfully recruit young, impressionable minds to join their organisation is because of the teachings of a radical brand of Islam in religious institutions funded by the Saudis. Thirdly, the education in schools, especially the madrassas, should combine science with religion to enable the students to develop a scientific temper and liberal values. In fact, in the curriculum of all schools, whether Muslim or non-Muslim, all religions should be taught so that students understand and appreciate the finer points of all faiths. This will go a long way to appreciate and respect all religions. Fourthly, in countries where Muslims and people belonging to other religious sects are in minority, there should be a move to integrate them into society instead of treating them as social outcasts. There is no gainsaying that the ultimate battle against the radical brand of Islam will be ultimately won in schools and colleges. Do you agree with the author’s opinion? Religion = mysticism, scared of social integrity, private relation between man and God, Promote social disintegration among men, a dogma which is away from science and reality.Ahl-e-Islam of today just follow the religion( SHia, SUnni, Salafi, Sufi, tableeg(deoband). No logical explanation needed, a absurd idea in which people don’t use their intellect but rather follow their emotions and priests and fundamentalists. Din = Reality, a fact which proves itself to be valid from every corner of life, synchronized with science, promote soicial integration( unity of all human beings on earth), A fact( Divine law) which gives correct meaning to life. Fusion of emotions + intellect(reason) is the basis of Din. No need of priests and fundamentalists to understand it. World will be very peaceful.. if expectations are rightly set..